Home » flower-2048 » Flower 2048, the unique variant of the 2048 Number game released on Android! Flower 2048, the unique variant of the 2048 Number game released on Android! HWDOT today announces that it released Flower 2048, the unique variant of the 2048 Number game for Android-powered smartphones. Flower 2048 is a free-to-play mobile game for all ages. Loaded with Full HD graphics and isometric layout, Flower 2048 is available now from HWDOT as a free download on Google Play. Flower 2048 is a very addictive and easy to play puzzle game. It is a unique version of the 2048 Number Game. Swipe to match two tiles with the same Flowers to get a new Flower. 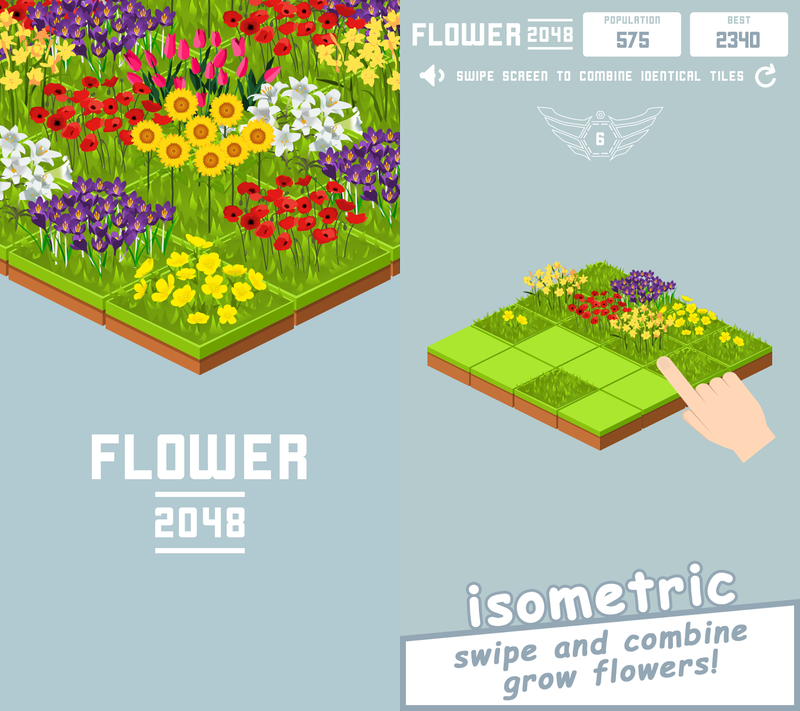 Using the classic 2048 gameplay, you will start growing flowers. The objective of the game is to plant and match beautiful flowers in a puzzle-filled garden of fun. Your score is given by the size of your plant population. Combine flowers to advance to the next level! If you love flowers, you are going to enjoy in this relaxing game where you can see nice pictures of certain kind of flowers that are so colorful and beautiful. You will gradually grow different kinds of flowers. In each level you can see different set of isometric tiles flowers include Poppies, Sunflowers, Hyacinths, Tulips, Buttercups, Crocuses, Daffodils, Roses, Violets, and Lilies. What's your favorite flower? Are you ready to manage your own garden? Relax and enjoy garden atmosphere with nice graphics and relaxing sounds of birds singing! Let's Play Flower 2048 and reach higher score! Play Flower 2048 once and you'll want to play the new amazing 2048 game more. Addictive and Lots of fun! 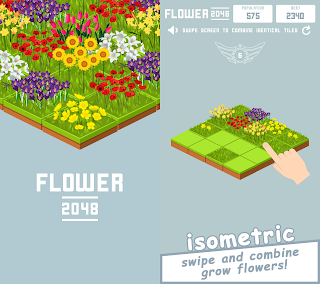 You can now download the Flower 2048 from the official Google Play store. HWDOT is a developer and publisher of casual games for mobile including Pinkie Pom, ZEL, and Flower 2048. We specialize in delivering free-to-play mobile games to markets around the world. For more information, please visit www.hwdot.com. Title : Flower 2048, the unique variant of the 2048 Number game released on Android! 0 comments on "Flower 2048, the unique variant of the 2048 Number game released on Android!"